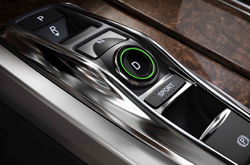 Acura, one of the world's most popular automakers, has unveiled its new version of the RLX. The Acura RLX for 2019 has been unchanged from an operational standpoint, but it offers many great qualities. The only real change with this vehicle is that it's quite smaller than its predecessor. This decrease in overall size has given the vehicle more agility. The 2019 RLX is surely more athletic as well as more efficient. The nimble driving capabilities of the RLX helps to make this car a fan-favorite. 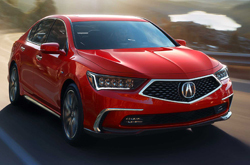 What are the Trims & Features on the 2019 Acura RLX? To start things off on a great note, the 2019 Acura RLX will come in various trims. These trim levels are the RLX sedan, the RLX Hybrid, the Sport Hybrid and more. Depending on the exact trim of choice, these cars will be all-wheel drive as well as rear-wheel drive. 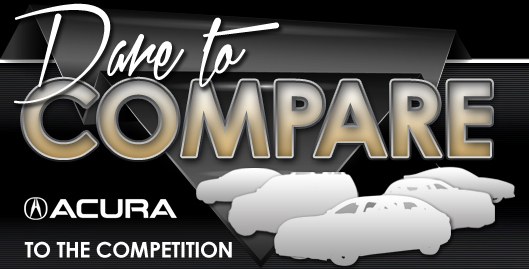 Consumers can choose from a variety of exterior colors, including pearl white, steel metallic, red metallic, blue pearl, black pearl and others. This sedan has a concept-inspired design that's futuristic to some degree. The car's diamond-pentagon grille is a showpiece, and the interior seats are made of premium Milano leather. 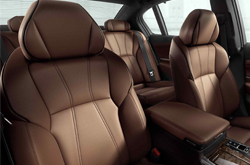 There are four colors to choose from, and the seats come with contrast stitching. There are two distinct audio systems here, including Krell and ELS Studio. Audiophiles will love to hear their favorite tunes thumping out of these systems. The sedan's 14-speaker layout produces rich and immersive sound. For more efficient use of the climate control system, the 2019 RLX takes advantage of the available sunrays via its solar-sensing system. The sedan's multi-use display is also seven inches in size. This multi-use display allows you to find many of your favorite apps. This intuitive screen provides responsive feedback, and it has programmable shortcuts. AcuraLink advanced technology allows you to connect your smartphone/laptop to the RLX navigation system. The 2019 Acura RLX is built for performance thanks to its race-inspired engine and aerodynamics. To give you a better feel for what this car can do, the four-door RLX trim offers a 3.5-liter engine, generating 310 horsepower. This V6 can accelerate fairly quickly thanks to its 10-speed, shiftable automatic transmission. The sport-hybrid sedan is even more impressive with its 377 horsepower. This 3.5-liter engine is 50/50 gas and electricity. Both trims also get wonderful gas mileage. 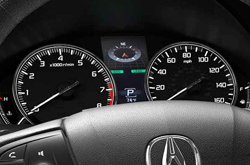 Acura has chosen to use an abundance of driver-assisted technologies to keep drivers safe on the highway. Drivers will be able to safely stay within their lane via the sedan's lane departure warning system. Rear-cross traffic monitoring alerts you when an object is crossing behind the vehicle. Depending on the chosen model, these vehicles come equipped with multi-view and surround-view cameras. Rounding out some of the extra features, include collision mitigation braking, motion adaptive steering, electronic brake distribution and a plethora of airbags. Come out to Vandergriff Acura in Arlington for a test drive of the amazing Acura RLX today!